Hebron is never a ‘normal’ place. But the last few days have been significantly worse than usual. Issa Amro is a Palestinian human rights activist from the Hebron organisation Youth Against Settlements, which focuses on non-violent resistance to the Israeli occupation here. He was talking to me on Sunday about the Jewish festival of Sukkot during which actions, taken mainly by Israeli settlers, have escalated tensions and lead to the outbreak of violent clashes between the Israeli army and Palestinians. These are the first clashes for about a month but they are more serious and more sustained than last time. They began on Friday and Saturday, but on Sunday the trouble worsened. Shortly after 11am a group of Israeli soldiers, border police (don’t ask me why they are here, this is nowhere near any kind of border) and riot police came through checkpoint 56 into H1. H1, as you may know from my previous posts, is the part of Hebron supposedly controlled by the Palestinian Authority under the terms of the Hebron Accord of the 1990s which established the H1 and H2 arrangement (at the time this was supposed to be temporary). Therefore, any kind of Israeli presence in H1 is extremely provocative, never mind in large numbers. The soldiers and police were heavily armed with a variety of weapons including rifles, guns which shoot plastic-coated steel bullets (so-called rubber bullets) and guns with massive barrels which shoot tear gas canisters. They brought a selection of military vehicles too. I watched as they began forcing shopkeepers to close their shops; closing roads; and demanding that buses and people leave the area. None of the Palestinians were very happy about this but there wasn’t much they could do. The soldiers slowly advanced down the street towards Bab Al Zawiya, the area that is normally the busiest part of Hebron. 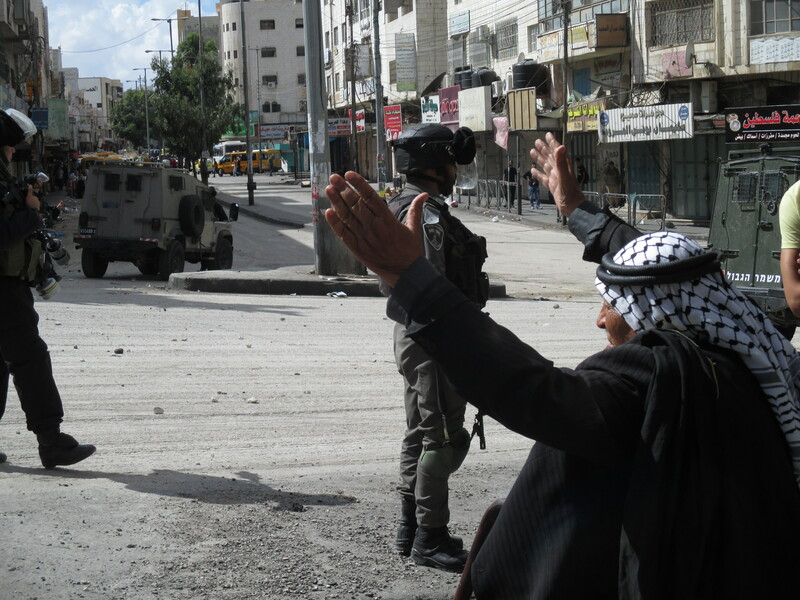 It wasn’t long before they met some more physical opposition, when Palestinians youths began throwing some stones. Almost immediately, this was met with rubber bullets being shot – something which hadn’t been obviously used in the milder clashes the two days before. There was also a volley of sound bombs – handheld devices which flash and bang very loudly when thrown at the ground. Like most Hebronites, I am now unfortunately fairly familiar with them. An hour or so later, the reason for the closures and incursion into Palestinian controlled H1 became clear: groups of Israeli settlers and their visitors began walking along the back road in H1, now heavily protected by military, to visit an old tomb. Over 200 hundred came in all. Some stopped to take photos of the scene they had created, which by now almost resembled a war zone that you might more usually see on TV, not right in front of you. There were Israeli snipers on the roofs, rounds of rubber bullets being fired with at least one Palestinian hit and carried away from the scene. But the settlers sauntered along to see the tomb, many with young children, as if on a regular outing. I was astounded that people would choose to bring their children to such a situation, as it was clearly not the safest place to be. A couple of days later I was having a conversation with two 20 year old Israeli soldiers guarding checkpoint 56. They had called me over to talk, wanting to know why I am here when “it is not my problem” (part of my response was that I don’t believe that’s how the world works – we should not only care about things that are very obviously about ourselves). 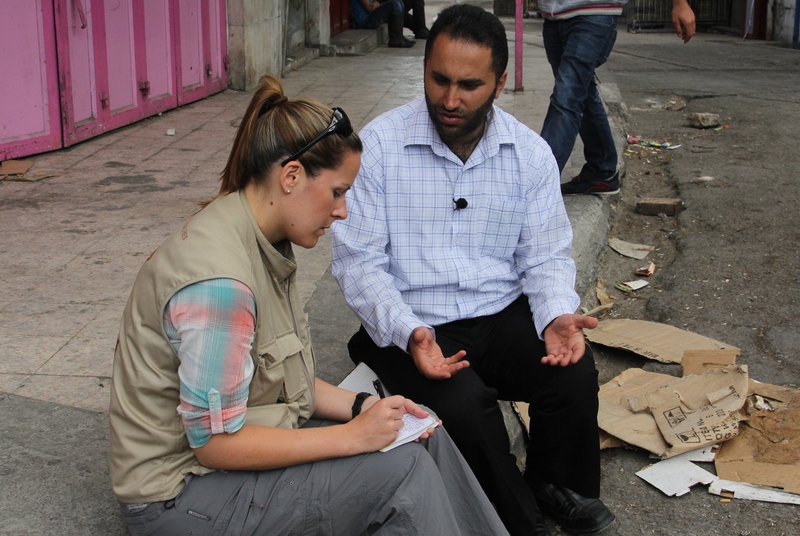 They told me that they had to retaliate with weapons when Palestinians threw stones at them. 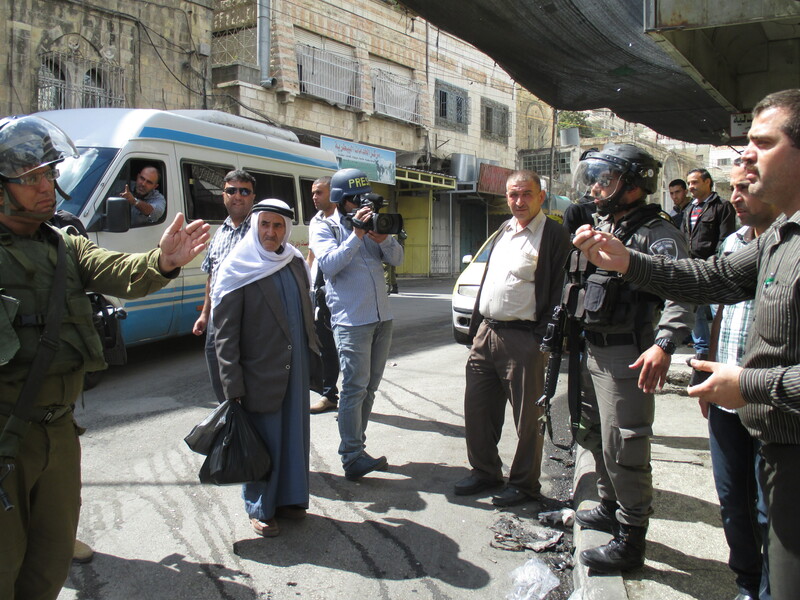 They genuinely seemed to believe that they played no part in creating any of the tensions or conflict in Hebron. Amidst the clashes there was the odd almost comical moment when Hebronites tried really hard to carry on with what they normally do. A bin lorry came to empty the bins immediately in front of a particularly scary looking Israeli special forces officer and a group of his also armed colleagues. A chicken lorry drove right up to the Israeli forces lined up across the street, determined to make his chicken delivery on the other side of the street. He argued for a bit then thought better of it and reversed. A Palestinian man handed me a cup of coffee at one point. I can’t bear coffee but it didn’t seem the time to refuse. I spilt it everywhere when some soldiers, including the scary special forces guy, suddenly dashed up next to me to grab and take away a Palestinian teenager. Later that afternoon a 20 year old Israeli soldier was shot and killed at checkpoint 209, at the other end of Shuhada Street. He was a young man who had been on guard outside a Palestinian house that the army had forcibly taken over to use as accommodation for the extra soldiers they had in Hebron for the week of Sukkot. I don’t think I met the soldier who died but it was sad news – he was just a young man, sent there by his government to defend a small group of ideological settlers whom the rest of the world believe have no right to be in Hebron. 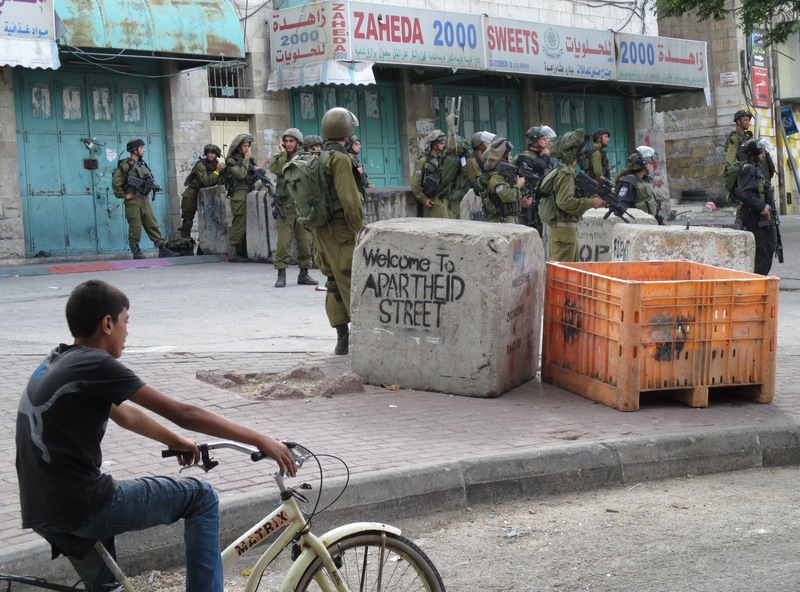 If Israel complied with international law, that young man would never have been in Hebron. But it turns out that an incident like the death of a soldier is not something to deter the settlers. 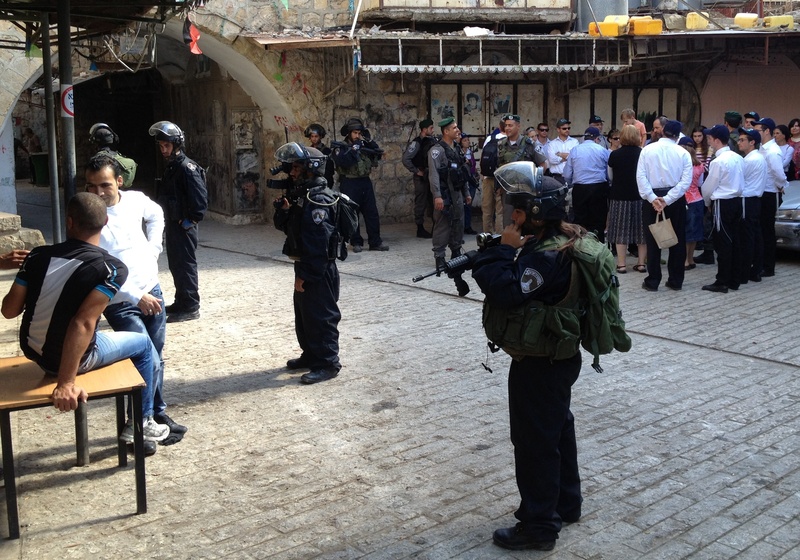 On Sunday they were able to ensure that much of the souq in the Old City was ‘made safe’ so that they could go on ‘guided tours’ surrounded by heavily armed police and soldiers. One of the tours with an English-speaking guide began with a lecture about the presence of human rights observers like myself who should actually go to Syria (this is a favourite line from the settlers at present) or Egypt and are apparently paid vast sums for our work here (shows how little they actually know). They proceeded through the souq with ordinary Palestinians sitting having coffee and minding their own business at one point having three police surround them and point rifles at them, as the settlers stopped to discuss the symbols on a doorframe opposite. Whilst they were touring, loud bangs from rubber bullets and sound bombs drifted down the street because clashes had begun again. In the next street over, settlers were having a huge festival outside the Ibrahimi Mosque/ Tomb of the Patriarchs (the mosque/ synagogue where it is believed that Abraham and his family are buried) with a singer and barbeques. The normally deserted Shuhada Street, famous for representing the ghost town of H2, was filled with coaches and thousands of Jewish visitors. According to the settlers’ website, they had paid them handsome amounts for their day tickets. A couple of streets over from the pony rides they were offering amongst road blocks and barbed wire in Shuhada Street, is checkpoint 209. 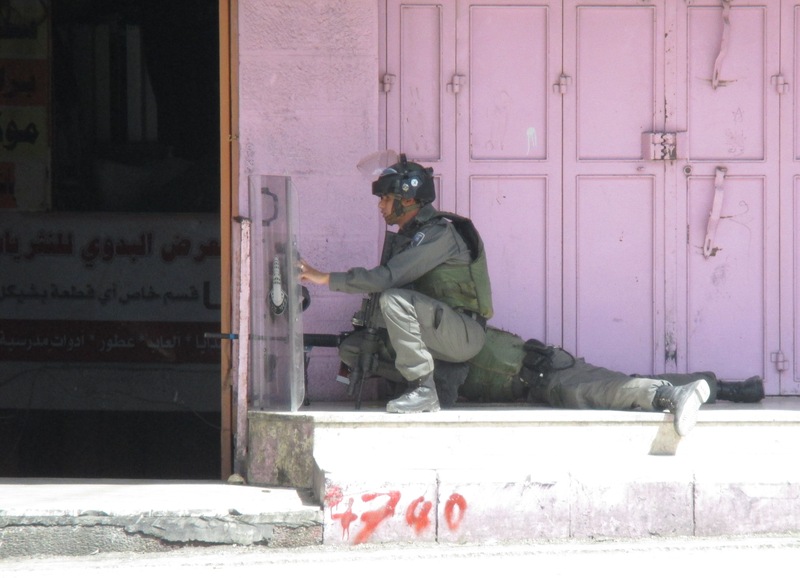 Here, squads of Israeli soldiers were conducting raids on Palestinian homes to try to find who had killed the young soldier the previous day. In the night, dozens of Palestinian men had been rounded up in house raids, made to walk down the street with their hands on their head and held in a school compound, presumably for interrogation. Violent clashes; a settler festival with pony rides; and armed house raids: undoubtedly the weirdest set of juxtapositions I have ever seen in my life. I cannot understand why this would be anyone’s idea of a great family day out. Both men were subsequently awarded the Nobel Peace Prize for their efforts. But around two years later, Rabin was shot and killed by a Jewish man who believed that Israel was ceding too much to the Palestinians. Sadly, he achieved his aim by derailing the peace process. In the early hours of Monday morning after the death of the soldier here in Hebron, current Israeli Prime Minister Benjamin Netanyahu announced that settlers would be facilitated to move back into a Palestinian home they had first taken over in 2012. 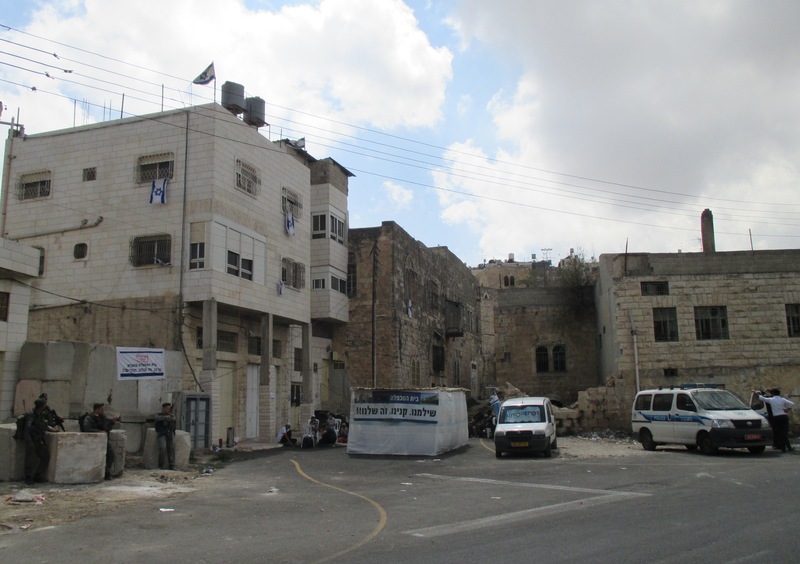 The house is called Beit Ha Machpela by the settlers or the Abu Rajab house by Palestinians, and is near to the Ibrahimi Mosque/ Cave of the Patriarchs (it is different to the Al Rajabi building, which you may also have heard about). The settlers going back there will have grave implications for the Palestinians who live around it because of the settlers’ propensity to use violence and harassment against Palestinians and the ‘security’ measures that the Israeli army will likely implement. There have been at least three violent settler attacks against Palestinians here in recent days, one of which ended in the hospitalisation of a little Palestinian boy. On Monday night the settlers went back to that house. In doing so they violated not only international law (as with all settlements) but also Israeli law, because the house is the subject of a court dispute. Nevertheless, they were guarded by Israeli police. I wonder when and how these clashes are going to end. 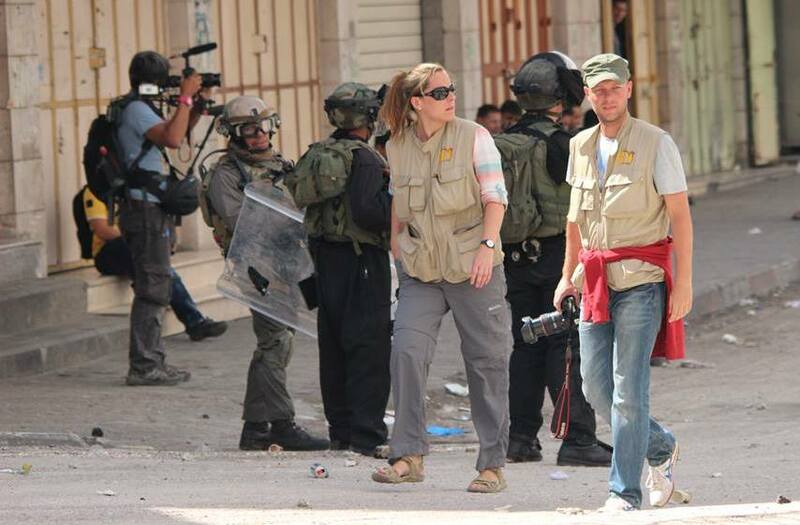 I hope and pray that, despite the odds, they end soon and we return to ‘normality’ in Hebron.